Integrated Telecom Company (ITC), the leading Information and Communications Technology Company in Saudi Arabia and Sofrecom, an Orange Group subsidiary, signed an agreement to lead the Outside Plant (OSP) implementation and management in all regions of Saudi Arabia for the next 3.5 years and to provide planning, design and supervision expertise and knowledge transfer to ITC employees. ITC is initiating site supervision for the development of the OSP infrastructure project that is in-line with the Saudi Vision 2030. Indeed, the National Transformation Plan 2020 aspires to spread the FTTH in 90% of the dense and urban areas by the year 2020. For that, ITC has announced a major expansion plan for its FTTH broadband network in various cities. The company is interested to acquire the services for site supervisions and project management for OSP implementation. This project will enable ITC to provide triple play services such as voice, high speed Internet and multimedia over IP, including high definition TV, video on demand and home entertainment via a Fiber to the User (FTTU) architecture. "We aim to offer the best of our expertise to build a more connected world", notes Guillaume Boudin, Group Sofrecom's CEO. "Very High Broadband is key to support new digital services. 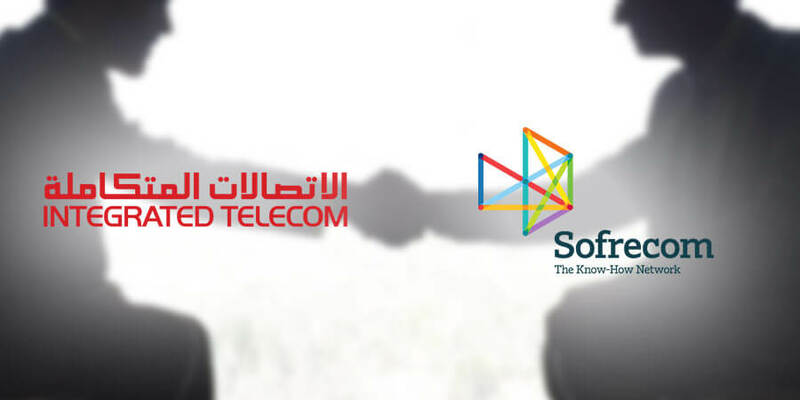 This new agreement between ITC and Sofrecom demonstrates once again our reference position on VHB, and fulfills our aspiration to support the Digital Transformation of our customers."